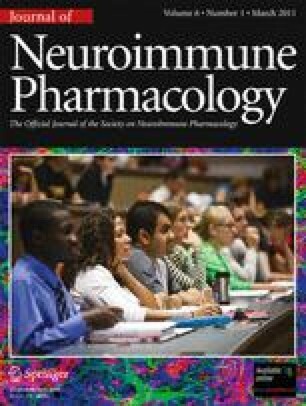 The development of neutralizing antibodies to the protein drug interferon-β is a significant impediment to its use in the treatment of multiple sclerosis. Neutralizing antibodies to interferon-β arise from aggregation of the peptide during manufacturing and storage. We tested the ability of dodecylmaltoside, a nontoxic alkylsaccharide surfactant, to reduce aggregation of interferon-β in vitro and to reduce its immunogenicity in vivo. Interferon-β, in solution with and without dodecylmaltoside, was periodically evaluated for aggregation by light scatter for 1 month. Interferon-β, with and without dodecylmaltoside, was given 3 days/week for 1 month to mice; the sera of these mice were analyzed for anti-interferon-β antibodies by ELISA. Dodecylmaltoside reduces the aggregation of interferon-β in vitro and its immunogenicity in vivo. Our positive findings warrant additional tests of dodecylmaltoside as a therapeutic adjuvant in rodent models of multiple sclerosis. Edward T. Maggio is CEO and Director of Aegis Therapeutics, LLC, which markets n-dodecyl-β-d-maltoside as a protein drug excipient. Aegis Therapeutics, LLC has licensed this technology to Nerveda, Inc., which funded part of this study. Michael Levy and Douglas Kerr have received consulting fees from Nerveda, Inc. Robert Rifkin and Sonny Dike have no disclosures. This project was funded by philanthropic donations to Project RESTORE at The Johns Hopkins University and by Nerveda, Inc.